Aquarius is the most freedom-loving sign of the zodiac. Aquarius representatives enjoy meeting new people, listening to loud music, throwing a swimming pool party and going to a bar with their friends for a knees-up.  The moon in their sign triggers off their love for fun and social events. On those days, Aquarians try to get rid of everything that my limit their freedom coming up with mind-blowing ideas. So, don’t be surprised if your Aquarius friend calls you in the middle of the night to invite you to go to Las Vegas together. Top long-distance relationship tips for Aquarius.